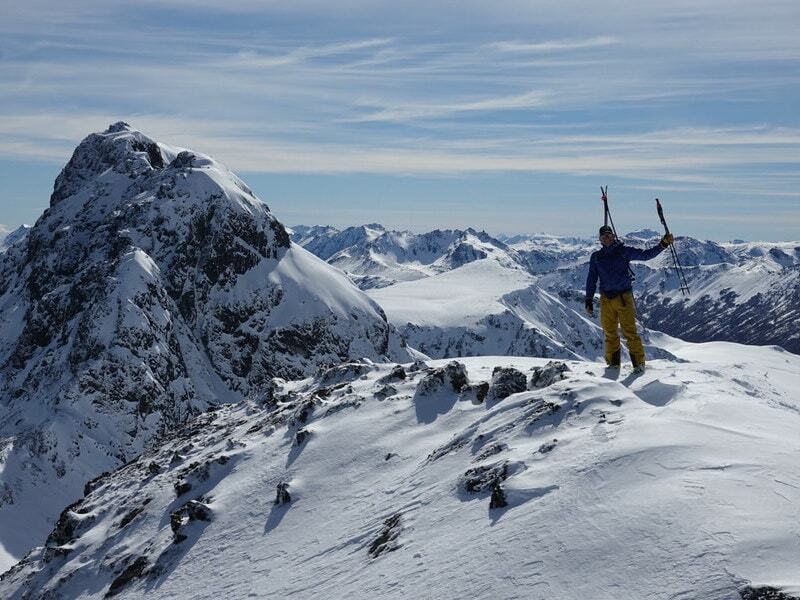 Leave the lift lines and lodges behind on this 8-day ski mountaineering and backcountry randonee adventure. 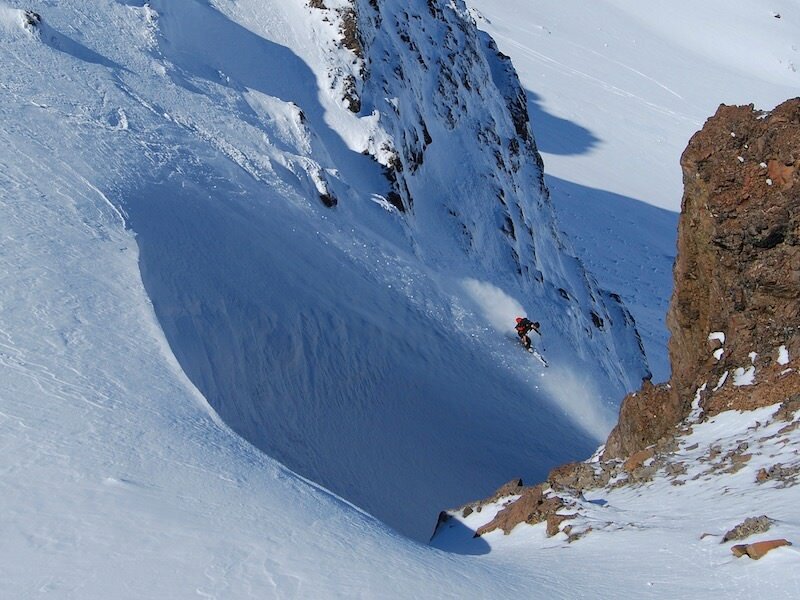 This expert guided expedition will take you deep into Patagonia backcountry to find some of the best powder and steepest chutes. 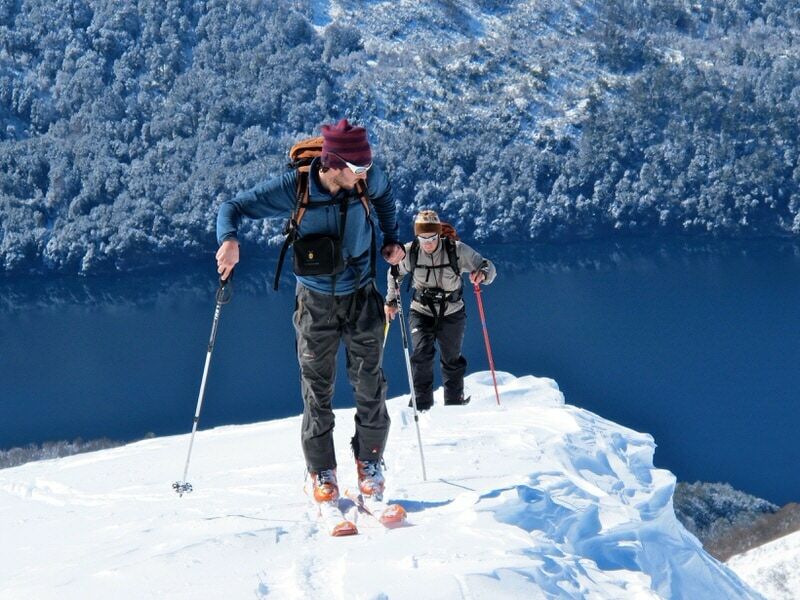 Explore the epic peaks and stunning landscape of northern Patagonia as you ski undiscovered terrain by day, and stay in rustic mountain huts by night. 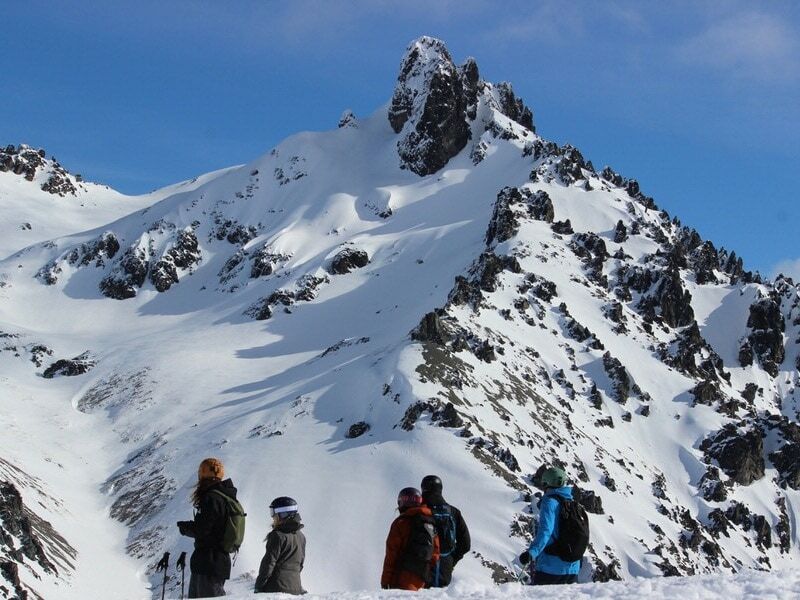 You’ll earn your turns then enjoy fondue, pizza, and local vino tinto—finishing your hut to hut tour in Bariloche. There, those who aren’t completely burnt from seven days of South American ski touring heaven, can check out some of Argentina’s best nightlife. Want to extend your adventure? No problemo. Check-out suggestions in the “FAQs” below! Experienced ski tourers and split boarders looking to get deep into Patagonia will love this expedition. 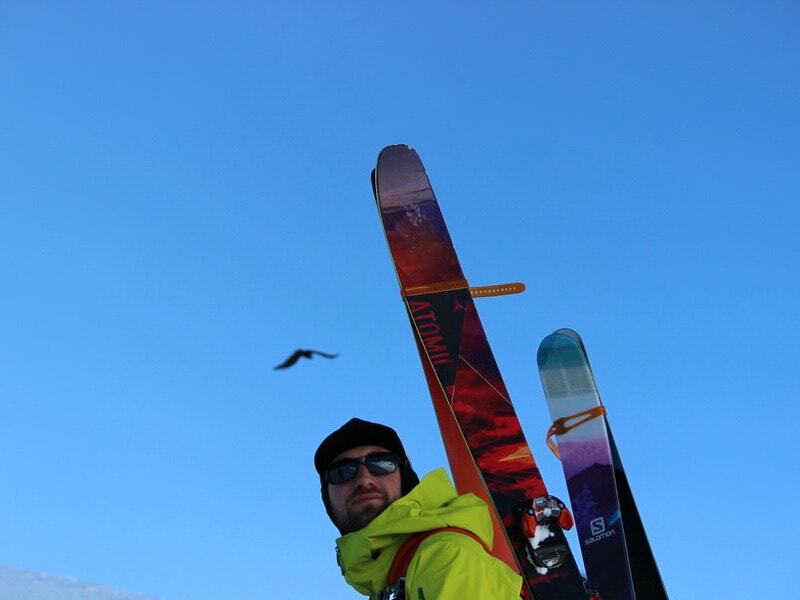 This backcountry tour is geared toward expert level skiers and snowboarders who are willing and able to earn their turns. 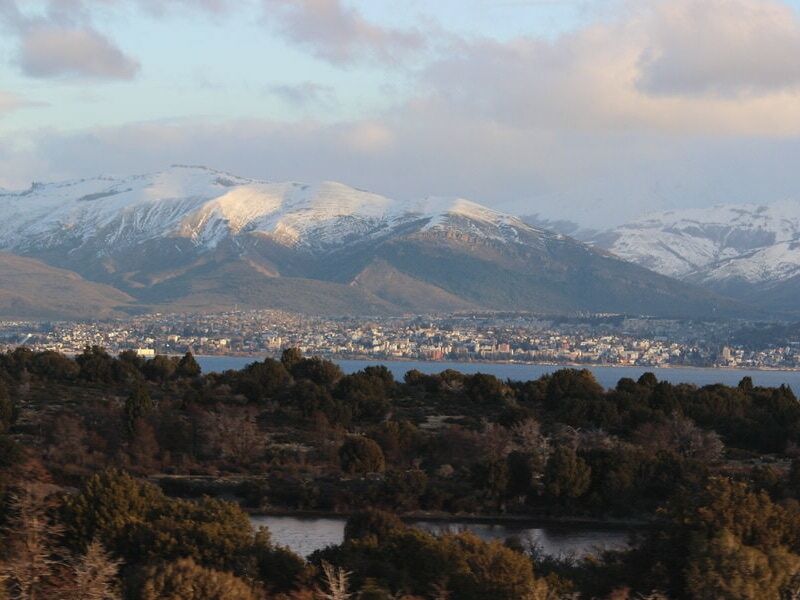 Expect steep terrain, all types of snow, and a 10 mile (16 km) walk out at the end of the trip. 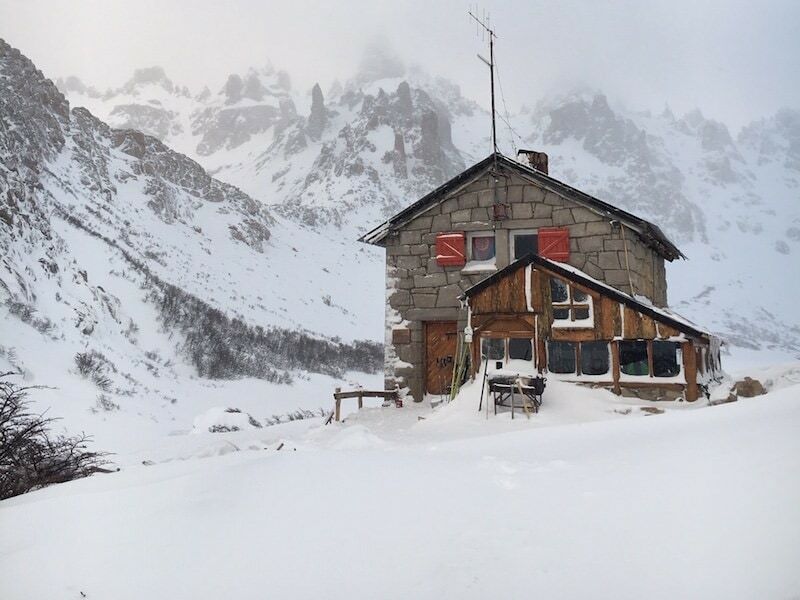 Our 5 backcountry Patagonia nights will be spent at the Refugio Frey and Refugio Jacob Huts. These rustic, yet comfortable shared huts are run by a friendly local staff. Keep in mind, there are no showers and guests are required to bring sleeping bags. 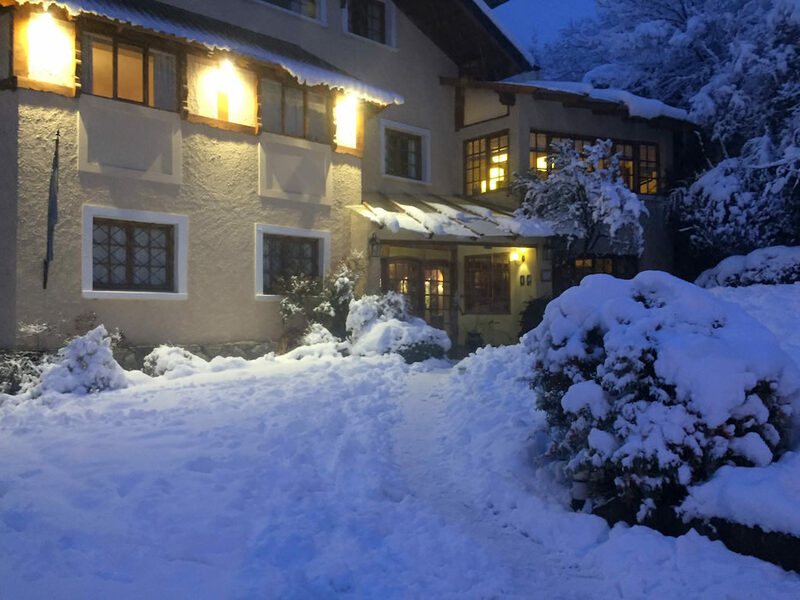 4 blocks from Bariloche’s main square, this mountain style lodge has everything you need to get away. A breakfast buffet, hot chocolate, daily homemade pastries, 24 hour bar, and massage services—you’ll feel taken care of by the friendly owners and staff. This is a once in a lifetime backcountry trip in Patagonia. 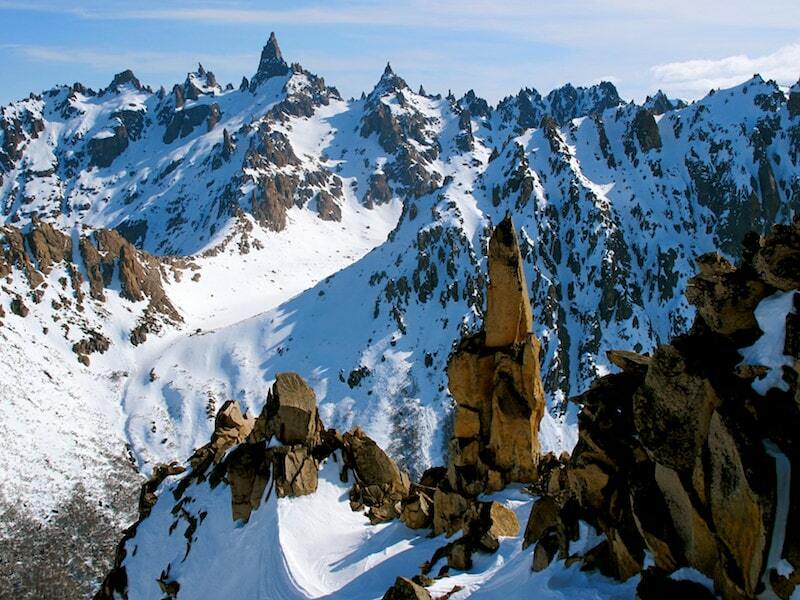 Let our expert guides take you to stunning terrain you’ve only dreamed about. $2,899 per person, based on twin or double share occupancy, private bath. Privacy Please: Ask about our limited number of single rooms available for a $395 upgrade. 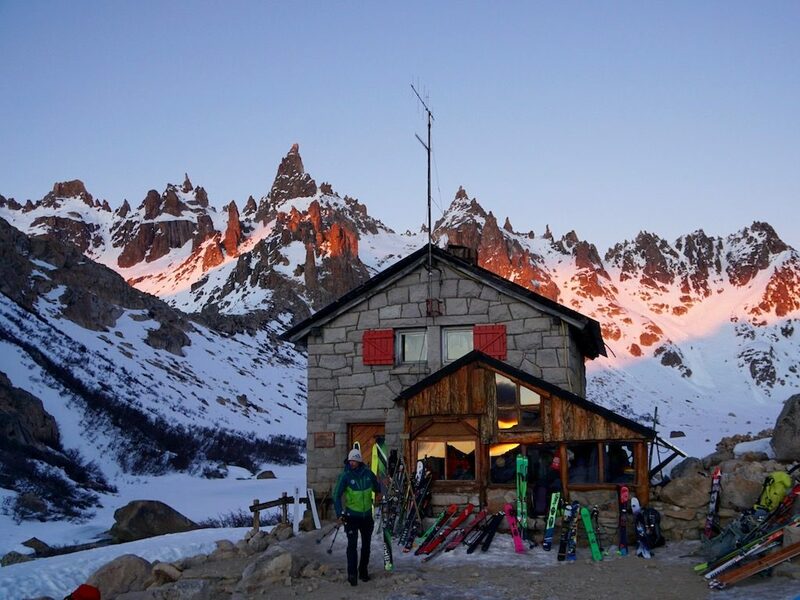 PowerQuest’s Patagonia hut tour was an all-time trip. 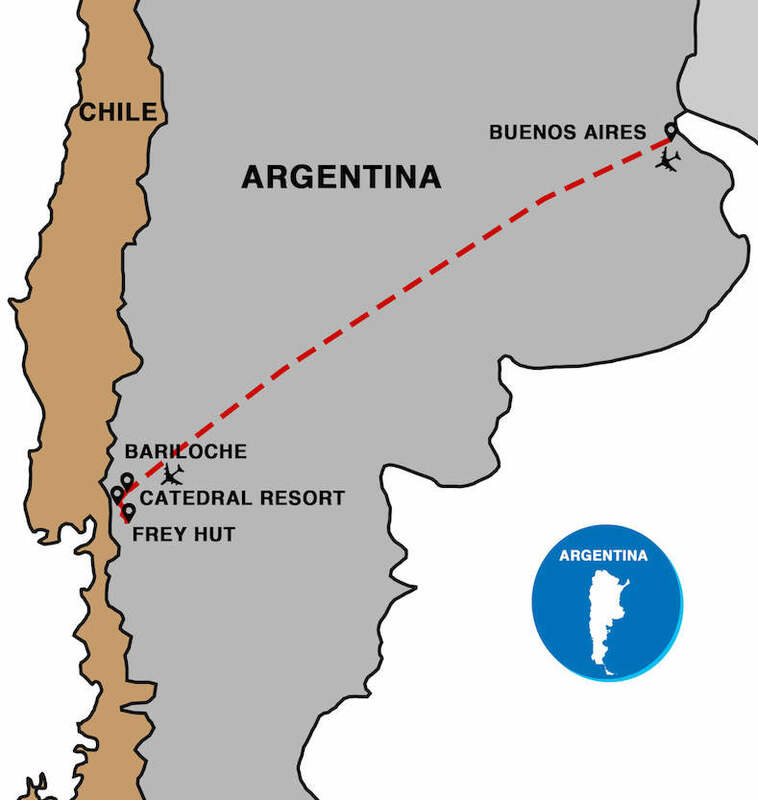 Getting all the logistics of a weeklong backcountry hut trip would have been nearly impossible for my first trip down to South America. PowderQuest did all the hard work and delivered a trip that went far beyond my expectations. 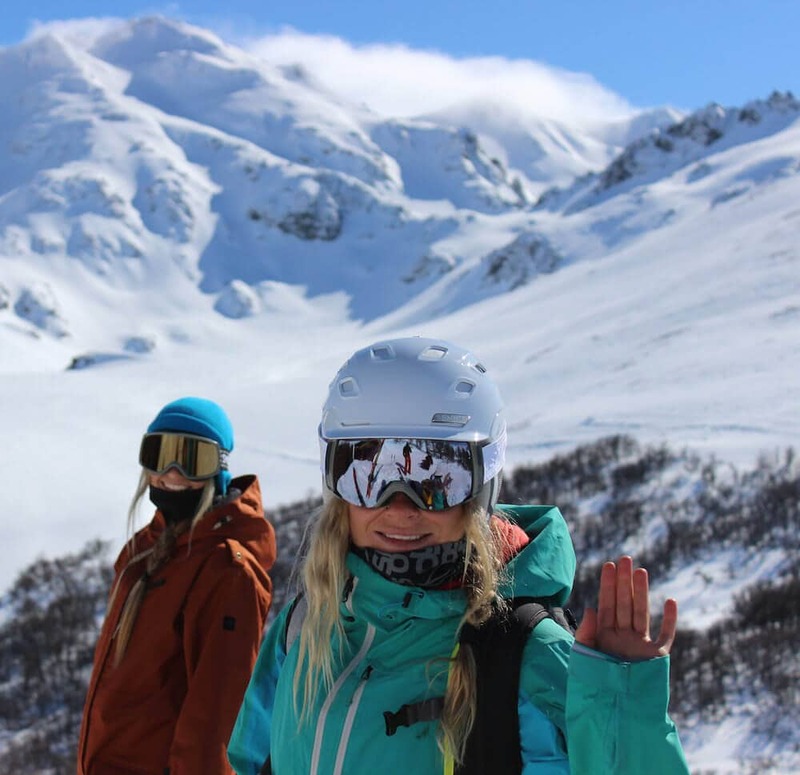 From the insane terrain in Patagonia, to the great snow conditions, to the cozy yet comfortable Frey and Jakob huts, to our mountain guide Jorge, and Suzi and the the folks at PowderQuest — the trip was super well organized and a ton of fun. This trip was filled with moments I’ll remember vividly forever – heart pumping climbs, cherry pow lines, and good times with great people at night in the huts.